Viknesh Vijayenthiran April 14, 2019 Comment Now! 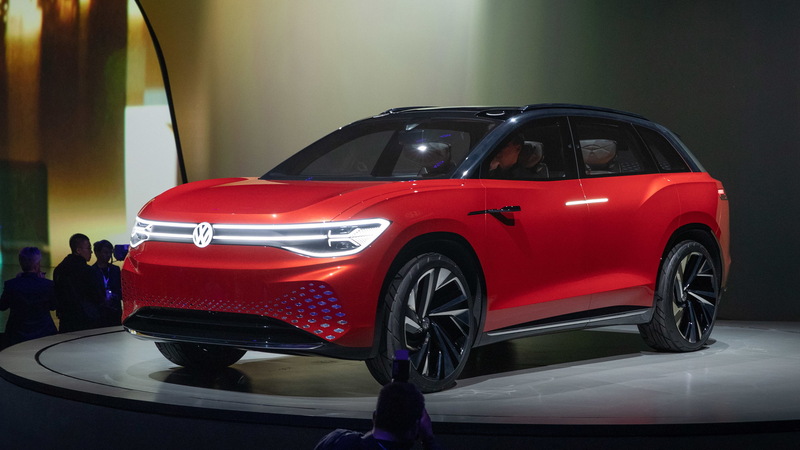 Volkswagen's fifth member of its planned ID family of electric cars will be a large SUV, a preview of which comes in the form of the ID Roomzz concept revealed on Sunday and set for a debut at the upcoming Auto Shanghai 2019. The production version is due in 2021, with China confirmed as the first market. Given America's penchant for SUVs, it's likely a local launch will eventually happen. 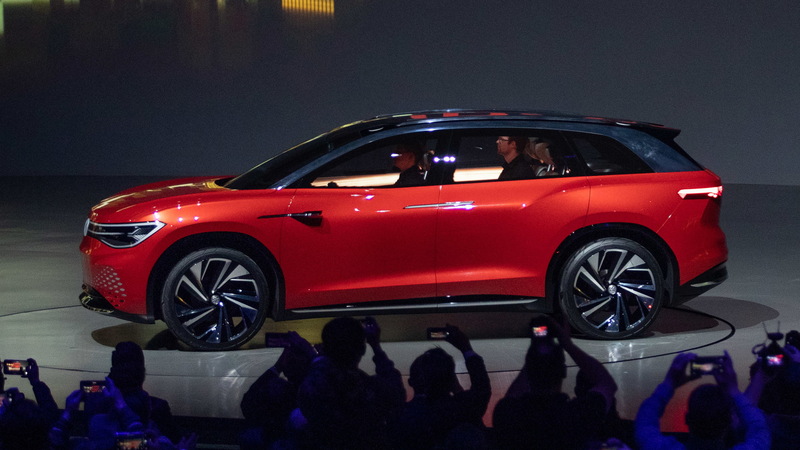 The ID Roomzz concept hints at a large, muscular proportion for VW's future electric SUV. The vehicle should feature three rows of seats but as the concept indicates, there could be an option for a spacious second row with just a pair of reclining seats. It's an option that appears to be growing in popularity among well-heeled Chinese buyers who rather sit in the rear than behind the wheel and face the burden of traffic. 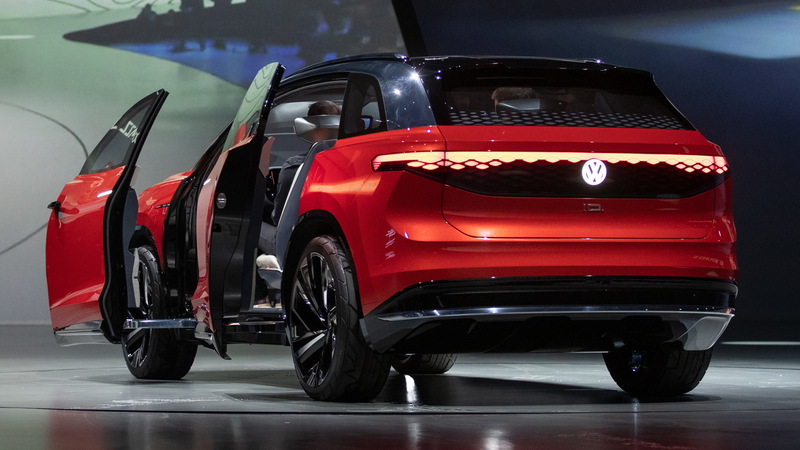 The premium nature of the ID Roomzz, and likely the production version it will spawn, helps differentiate the vehicle from the smaller ID Crozz SUV concept, whose production version will start rolling out of VW's plant in Chattanooga, Tennessee, in 2020. 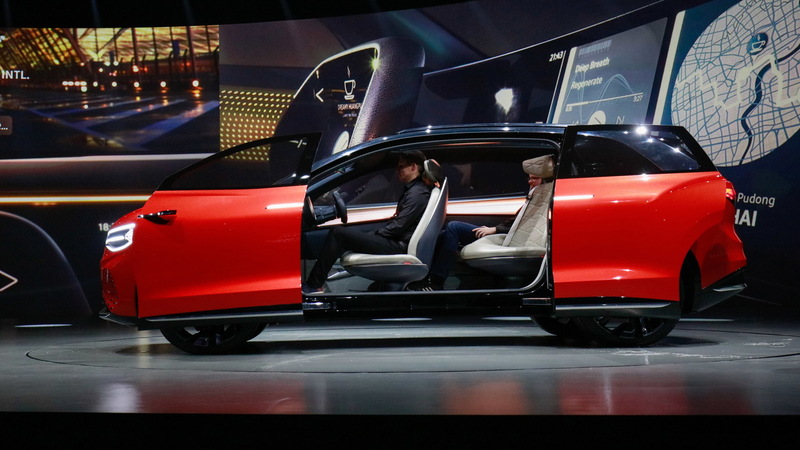 The ID Roomzz sits on a stretched version of the Volkswagen Group's flexible MEB platform, the automaker's mainstream EV architecture. The longest application so far has been the ID Buzz Cargo concept, which stretched 198.7 inches in length. The ID Roomzz is slightly smaller at 193.5 inches. As for the powertrain, there's an electric motor to power the front wheels and a second to power the rear axle to provide all-wheel drive. Combined output is 306 horsepower, which is enough for 0-62 mph acceleration in 6.6 seconds and a top speed of 111 mph. In the floor is an 82-kilowatt-hour lithium-ion battery that should deliver approximately 250 miles of range. The battery is able to be charged at up to 150 kilowatts, which allows for an 80-percent charge in around 30 minutes. 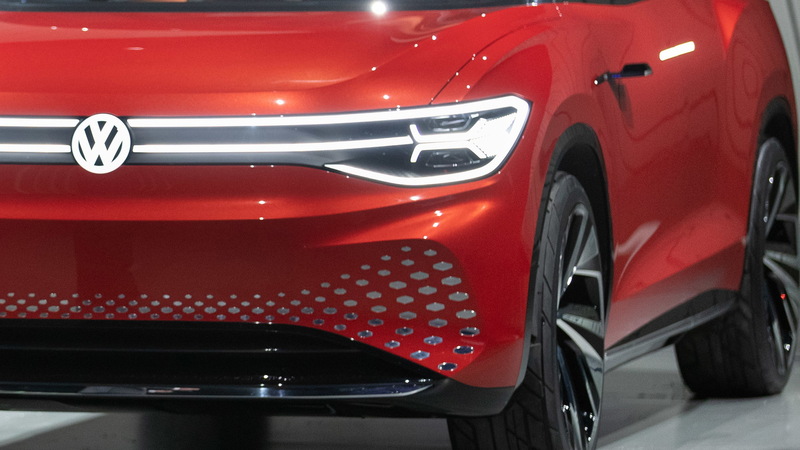 The concept also packs all of VW's latest electronic driver aids. These are grouped under the IQ.Drive heading and includes a fully self-driving mode that the VW Group is currently developing. In the ID Roomzz concept, a touch of the steering wheel's center will switch the car from manual mode to autonomous. In autonomous mode, laser scanners emerge from the roof and work in conjunction with ultrasound, radar and camera sensors located around the car to help guide it. VW has now confirmed five production models as part of its ID family, the first of which will be a Golf-sized hatch due for a reveal at September's 2019 Frankfurt International Motor Show. It was previewed in 2016 by the ID Neo concept.